is elated to Celebrate the Life of this one woman that has devoted her life to others through a very delicate yet powerful design, that is, by living the life of a nun. 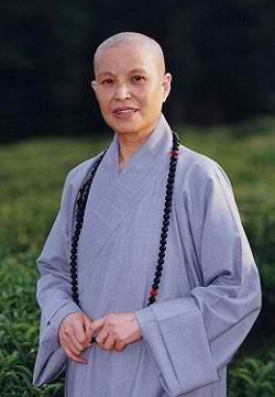 This Spiritual Master, a Buddhist nun is the founder of the Buddhist Compassion Relief Tzu Chi Foundation, an organization that has become one of the leading disaster relief organizations in the world. Celebrate with us here a woman of compassion, courage and caring! Dharma Master Cheng Yen was born in 1937 in Qingshui, a small town in Taichung County, Taiwan. As her father’s brother was childless, at a young age, she was adopted by him and his wife to raise as their own, a common practice in that era. Her new family later moved to Fengyuan City, Taichung County. When Dharma Master Cheng Yen was seven, the Second World War brought air raids upon Japanese-occupied Taiwan. What she witnessed deeply imprinted upon her young mind the cruelty of war. Throughout her growing years, she had many questions about life and its meaning. In her town, the young Dharma Master Cheng Yen was known as a very filial daughter to her parents. When her mother needed surgery for acute gastric perforation, a very risky procedure in those times, the 15-year-old Dharma Master Cheng Yen prayed earnestly to Avalokitesvara Bodhisattva (the Bodhisattva of Compassion), offering to give up 12 years of her life in exchange for her mother’s health. To express her piety, she undertook a vegetarian fast. When her mother later recovered without need for surgery, the young Dharma Master Cheng Yen, out of gratitude, chose to become a life-long vegetarian. When Dharma Master Cheng Yen was 23, an event happened that would change her life. One day, her father suddenly took ill. Within 24 hours, he passed away. His death was a great shock to Dharma Master Cheng Yen and propelled her to seek many answers about life and death. “Why is life so transient? 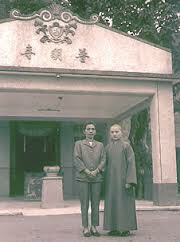 At this time, Dharma Master Cheng Yen came into contact with Buddhism. Learning of the teachings, she gradually came to feel that one should expand the love for one’s own family to the entire society and all humanity. She aspired to take care of the great family of humanity, instead of one small family. In 1961, Dharma Master Cheng Yen left her family home to embark on the spiritual path, giving up a relatively comfortable life. Within a few days, however, her mother found her and begged her to return home. 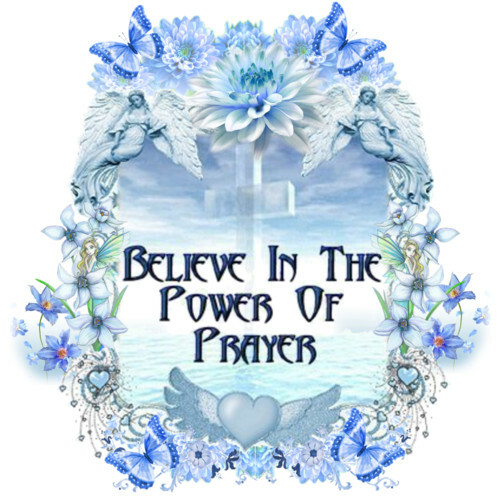 She acquiesced, but with her spiritual convictions, she could not truly be content living her old life; several months later, she again left her family to pursue spiritual cultivation. That year, she was 24. From western Taiwan, she traveled to eastern Taiwan and eventually settled down in Hualien, a small town in Taiwan’s relatively undeveloped east coast. 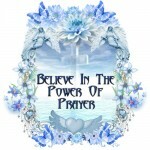 Though life was very hard, it did not diminish her commitment to spiritual cultivation. In late 1962, at the age of 25, Dharma Master Cheng Yen shaved her own head to formally renounce the lay life and start life as a Buddhist monastic. She was unaware that Buddhist rules required one to do so under a Buddhist master (a monastic teacher). Because of this, she could not qualify when she sought to receive full monastic ordination at Taipei’s Lin Chi Temple several months later. These circumstances brought her into a chance encounter with Venerable Master Yin Shun at a Buddhist lecture hall in Taipei. Having great respect for him, she asked if he would accept her as his disciple. He gave her the Dharma name, Cheng Yen. Showing compassion to someone isn’t easy – it takes a lot of time, effort, and even money to show someone how much you care for them. It is inconvenient; and a lot of times, quite disappointing, especially when the person you are trying to help doesn’t recognize what you’re trying to do. However, there are certain people in the world today that don’t care whether they are recognized or not – what’s important is that they can show love and compassion to people, so that their lives can be changed for the better. One of these people is Dharma Master Cheng Yen, an extraordinary Buddhist nun who has devoted her life into helping others. 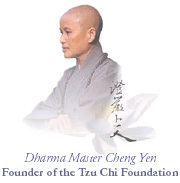 Master Cheng Yen is a Buddhist nun, most known for her work as a teacher and philanthropist. She is the founder of the Buddhist Compassion Relief Tzu Chi Foundation, a non-governmental organization that is currently covering most parts of Asia, and is involved in various charitable work such as international disaster relief, environmental protection and preservation, community volunteering and health donations. Her extraordinary and amazing efforts in reaching out and helping the poor have earned her the title “Mother Teresa of Asia”, which is proven by her undying love and compassion for the poor and the suffering. 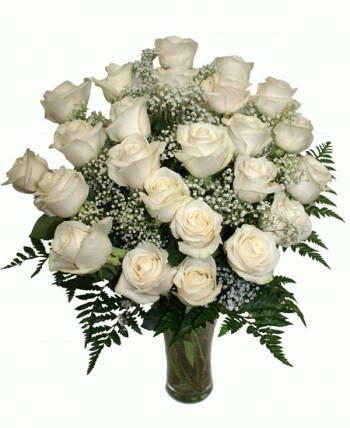 Her charitable organization, the Tzu Chi Foundation, has experienced such growth and success that it has become one of the leading disaster relief organizations in the world, and has conducted relief projects in almost every major and minor disaster in the world – from the Phuket tsunami to the New Zealand earthquake. The Tzu Chi Foundation’s growth has also resulted in the establishment of larger branches: the Charity sector, Medicine sector, Education sector and the Culture Missions sector. Cheng’s philosophy in life has been greatly influenced by her Buddhist background; she believes in the value of all life, and her passion and desire throughout her life is the preservation of life and the undying search for peace and harmony. She has a great love for her fellow human beings, and has always had a desire for each one to be equally prosperous; this became the central theme of the Tzu Chi Foundation, who aims to “instruct the rich and save the poor”. She deeply believes that every person has the capability of having the same great compassion as the Buddha – not just ‘sympathizing’ with them, but actually reaching out and taking time to help relieve the suffering with their concrete actions. Cheng teaches her disciples what she learned from her master: that it is through the act of compassion that one experiences the fullness of one’s life, and that brings him or her inner peace and happiness that will help that person pave the way for a peaceful and harmonious society. Aside from having a compassionate heart, Master Cheng also believes in applying wisdom in whatever one does, even in a charitable deed. She firmly teaches that without wisdom, all acts of charity will but become vain without wisdom to back them up. 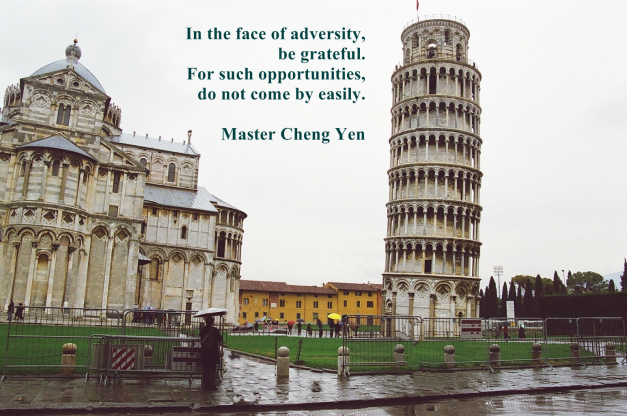 This philosophy has enabled Cheng to successfully grow the Tzu Chi Foundation and garner a great amount of supporters for their cause. Cheng, 73, has an “ethereal quality” while fulfilling the role of a “well-grounded, no-nonsense head of a non-profit humanitarian machine,” according to Time Senior Editor, Zoher Abdoolcarim. Dharma Master Cheng Yen made three vows in the early years when she first became a Buddhist nun. The first was not to accept offering; the second was not to hold Buddhist Dharma services; the third was not to take disciples. What she wanted at that time was pure Dharma practices. Then she saw a poor aboriginal woman suffering from labor complications because she could not afford the medical deposit to see a doctor. 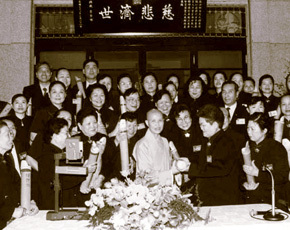 The puddle of blood from the woman and the subsequent visit from three nuns inspired Master Cheng Yen to make a vow to establish the Buddhist Tzu Chi Merit Association to help the poor. Because of Tzu Chi, she broke her vow and accepted disciples. However, she wanted her disciples to be involved in the community and help those in need rather than pursue their own happiness. To help the poor, the Jing Si Abode distributed relief goods to the poor, the ill, and the solitary elderly people. At the same time, Master Cheng Yen taught the Medicine Buddha Sutra, in the hope that all poor and ill people can be freed from suffering and achieve happiness. From the day before the establishment of Tzu Chi Merit Association until today, people living in the Jing Si Abode have sustained themselves through their own efforts. All practitioners who live in the Abode need to do farm work and make handcrafts to earn their own living. This is the “No work, no meal” faith, which was passed down from the Zen Master Bai Chang of the Tang Dynasty. Due to the success of Cheng’s charitable work, she has received numerous awards, the most notable being her nomination for the Nobel Peace Prize and winning the Ramon Magsaysay Award, which is known as the Nobel Prize of Asia. She has received outstanding recognition for her service, and has built a reputation for being one of the most honorable philanthropists in the world. She has also received multiple honorary doctorates from various schools, which recognize her as a compassionate and wise leader. Currently, at seventy five years old, Cheng Yen still continues to actively engage in the work of her foundation, providing help and support to those who are in need. Her compassion and love for all people have greatly helped her continue her work all throughout these years, empowering her to never quit from bringing peace, love and joy to every person she meets and reaches. The people of Taiwan in 1966 were generally poor. 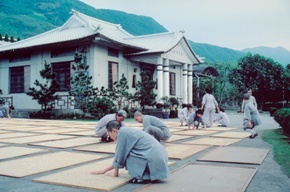 The Buddhist Tzu Chi Foundation was founded by Master Cheng Yen with five monastic disciples and thirty house wives. In order to raise money to help the poor, the dharma masters at the Jing Si Adobe made baby shoes to sell four dollars each. With an additional twenty-four dollars each day, they were able to save seven hundred and twenty dollars more per month. Dharma Master Cheng Yen deeply believes that all people are capable of the same great compassion as the Buddha. True compassion, however, is not just having sympathy for another’s suffering—it is to reach out to relieve that suffering with concrete actions. In founding Tzu Chi, Dharma Master Cheng Yen wished to give ordinary citizens the chance to actualize this compassion, which will bring inner peace and happiness to the individual, and pave the way for world peace and harmony. You are always welcome to join our Tzu Chi’s Great Love missions by becoming a member or volunteer. Please contact the Tzu Chi location near you. welcomes this powerful soul into our global Alumni with open arms, looking forward to collaboration in the quest of bettering the lives of all on this planet. We are honored to celebrate this humanitarian into our world.